Cellist Zoe Knighton is at the fore of a new generation of performer intent on forging an innovative path for the enjoyment of “classical” music. Reclaiming the Spirit is performed by Zoe Knighton, composed by Sarah Hopkins and curated by Thomas Reiner. The track was recorded live in the studios of 3MBS in 2013 for the Sketching Impressions program. Zoe Black (violin) & Joe Chindamo perform live at the studios of Melbourne's 3MBS. Zoe Black and Joe Chindamo perform Johan Sebastian Bach's Goldberg Variation Aria. They perform Chindamo’s arrangement and interpretation of Bach’s Goldberg Variation Aria. Published in 1741, Bach’s work is one of the most important examples of variation form. Zephyr Quartet is a string quartet performing original, diverse music. This release is a collection of folk music from Macedonia, Israel, Mexico and Finland arranged by members of the group. Adana is a traditional Macedonian folk tune arranged by Zephyr's cellist Hilary Kleinig. It is stirring, beautiful, tender and forceful, taking the listener on a short but epic journey. Xani Kolac recorded live at the Triple R Performance Space in July 2012 by Melbourne's 3RRR 102.7FM. Xani Kolac recorded live at the Triple R Performance Space in March 2012 by Melbourne's 3RRR 102.7FM. Johannes Brahms (7 May 1833 – 3 April 1897) was a German composer and pianist. Brahms composed for piano, organ, chamber ensembles, symphony orchestra, and for voice and chorus. When Brahms' First Symphony received its premiere, it was immediately described as 'Beethoven's Tenth' – the highest praise possible, acclaiming Brahms as the successor to the greatest symphonist of all. Viazza - Katherine Lukey (violin), Paul Ghica (cello) & Young-Kwon Choi (pianist) perform live in the studio's of Melbourne's 3MBS. 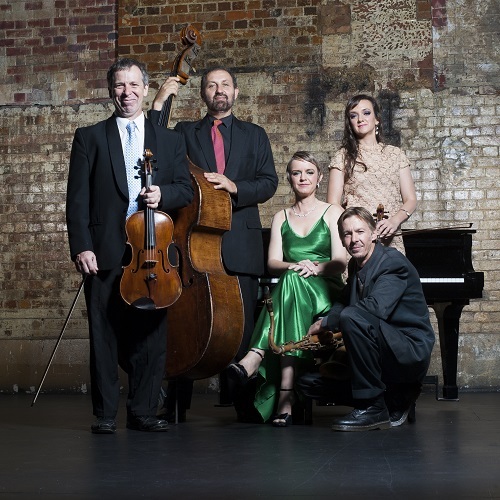 Viazza perform Paul Stanhope's Dolcissimo Uscignolo ('Sweetest Nightingale') live in the studio's of Me'bourne's 3MBS. Vaudrey’s debut single ‘Take Me Back” puts a six figure, once British Royal Family owned 225 year old cello through a series of guitar effect pedals. Combining orchestral type ambience with biting electronic beats, the beautifully distorted sound of the cello and Vaudrey’s soothing voice creates a stunning soundscape. Various classical composers in this deluxe compilation include Puccini, Strauss, Bizet and Wagner; Rachmaninoff, Vaughan Williams, Mozart and Beethoven. The standout duet in Bizet's orchestrally rich and exotic three-act opera. Straddling two spoken languages and multiple musical disciplines, Melbourne/Copenhagen duo True Strength interweave songwriting in the revivalist folk tradition, early baroque and renaissance music, electro-acoustic music, and free improvisation. First single from True Strength's debut album. In Danish: 'Highlights'. Pronounced: 'Loose-a Streeb-a'. TRICHOTOMY are one of Australia’s most inventive contemporary music ensembles. With a reputation as a leading group in progressive trio music, they skilfully blending dense, exciting improvisations and delicate atmospherics. Jazz trio Trichotomy perform LIVE with String Quartet blending sounds of modern jazz and classical concepts. Misinterprotato are one of Australia’s most inventive contemporary music ensembles. Captivating and engaging they are redefining the possibilities of jazz inspired music with their myriad of sounds and styles. The work by pianist/composer Sean Foran displaying the incredible virtuosity and diversity of the collaboration between Topology & Misinterprotato. From soft and serene to intense and complex, this piece is instantly compelling. Hear 2 double basses, piano and rhodes plus strings, sax and drum kit !! Renowned for their expansive sound and prolific collaborations, the 1990s saw Brisbane come to know Topology through their original compositions as well as their adventurous re-imaginings of popular music collaborations. Based on the DNA sequence of the first complete genome ever mapped. The DNA letters are mapped to pitches to create melodic and harmonic material. Biologists use C, G, A, and T in the DNA mapping, composer John Babbage used those notes but substituted the “T” with the note D.
Australian indie classical quintet. 2014 ARIA Award Nominee for Best Classical Album. Launching 20th anniversary celebrations with new ‘mixtape’ album 'Tortured Remixes' - Pop filtered through twisted musical minds. 'I Am Petrified' is the lead track from Topology's new album ‘Tortured Remixes’ where popular melodies are filtered through the creative minds of Topology’s composers - John Babbage, Robert Davidson and Bernard Hoey. The result: familiar tunes stretched, scrambled and “tortured” (almost) beyond recognition, then reassembled into adventurous new works! Australian indie classical quintet. 2014 ARIA Award Nominee for Best Classical Album. 2015 APRA Art Music Award for Excellence in Music Education. An original track composed by Robert Davidson with Julia Davidson for Topology's 'Queensland at Home' project - A time capsule of vintage film from the State Library of Queensland accompanied by a live original score performed by Topology. As Australia’s most surprising music organisation, Topology is renowned for their breadth of original work across many genre boundaries, as well as the depth and variety of their collaborations. Share House, an “instrumental opera” set in the 70s, tells the story of five dysfunctional bandmates sharing a dishevelled flat and interwoven life; full of warmth, fun and love. Topology says of 'Love Scene': "Moving, accessible and glorious - it makes my heart melt every time I listen to it." Pianist and composer Tony Gould is one of Australia’s most respected musicians. His career has embraced many styles of music, not least jazz, improvisatory, traditional and contemporary classical musics. Features the captivating vocals of Melbourne jazz singer, Michelle Nicole. Nicole re-imagines this song interpretation in her own sensitive way. Gould says: 'All music making is all creative … they (the musicians) are bringing new life to the music on the page'. Pianist and composer Tony Gould is one of Australia’s most respected musicians. His career has embraced many styles of music - jazz and improvisatory musics ias well as classical musics. A delightful piano solo, done in Tony Gould's inimitable style. A Christmas classic that is sweet enough to listen to all year long.